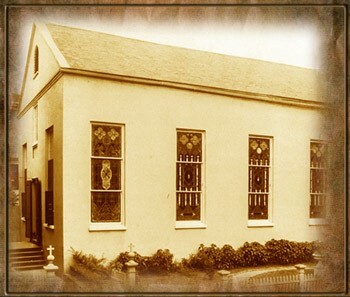 November 18, 1866, marked a historical event for South Carolina’s African Americans when Bishop Patrick N. Lynch purchased a Jewish Synagogue at 34 Wentworth Street and its adjacent property. Approximately two years after the purchase, Bishop Lynch dedicated St. Peter’s Catholic Church to serve the African American Catholic community. Although many assumed the parish was named after Peter Claver because of his great love for the people of Africa, Bishop Lynch actually named the church for St. Peter the Apostle. Jesuit Father Aloysius Louis Folchi was appointed the first pastor. Almost immediately, He began a school in his rectory. When the school outgrew his rectory residence, it was moved to a two-story building behind the church at 51 Society Street. The parish grew as a result of many students and parents converting to Catholicism based on their affiliation with St. Peter’s School. In 1902, St. Peter’s School was moved to 65 Society Street, formerly St. Paul Catholic Church and 51 Society Street was converted to a convent. The Sisters of Charity of Our Lady of Mercy were appointed overseers of the school. 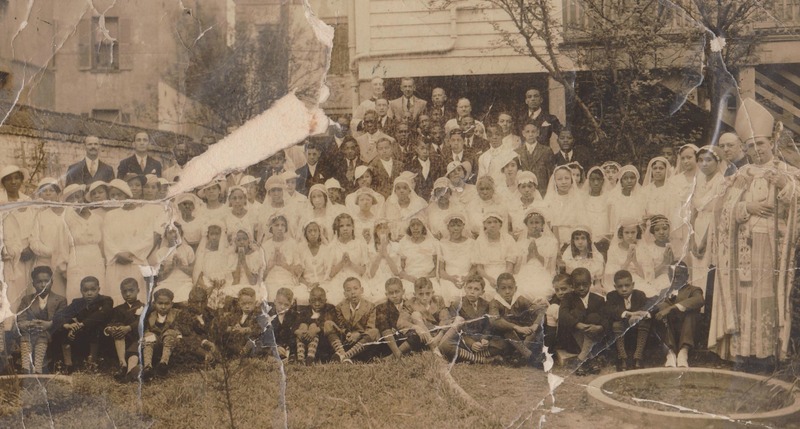 In 1917, Bishop William T. Russell appointed the Holy Ghost Fathers (Spiritans) and Oblate Sisters of Providence, a community of African-American sisters, to serve St. Peter’s community. As pastor of St. Peter’s parish, Father Ward F. Cleary, a Holy Ghost Father, became an import part of St. Peter’s history. Although he left his cherished parish, his heart remained. At his request, Father Cleary’s body was returned to Charleston for burial in St. Peter’s Cemetery in 1952. Father Phillip J. Haggerty was appointed pastor of St. Peter’s in 1961. St. Peter’s Church was closed in 1967 and the community was moved to St. Patrick. Since the church and rectory needed many costly repairs, Bishop Ernest L. Unterkoefler and Charleston’s Preservation Society compromised on razing and renovating the structures. A new convent (St. Katherine’s Convent) was established for the Oblate Sisters at the site of the old St. Peter’s, where they remained for 31 years. In the aftermath of the restoration of the 34 Wentworth Street facility as the headquarters of the Diocese of Charleston Volunteers, Bishop Robert Baker renamed the former St. Katherine’s Convent the Drexel House in honor of St. Katherine Drexel. On January 1, 2004, after its complete renovation, Bishop Baker rededicated the Chapel of the Drexel House as The Eucharistic Cenacle of God the Father as an Oratory for the benefit of the DOV Volunteers as well as other members of the faithful. On August 24, 2011, Bishop Robert Guglielmone blessed the Drexel House as a residence for men.